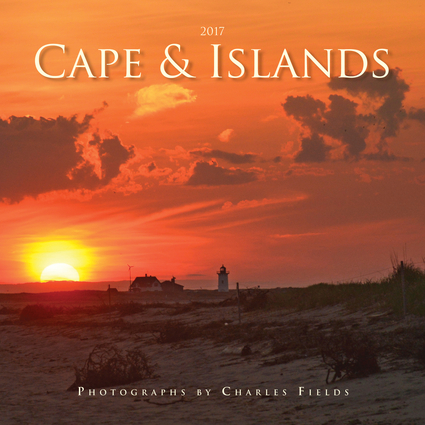 Beautifully rendering the majestic essence of Cape Cod, this popular 12-month calendar features all-new professional photographs of beaches, dunes, lighthouses, harbors, and picturesque cottages. Marking all major holidays and moon phases, the calendar also has ample room to note appointments, meetings, and special events. Charles Fields is a photographer with more than 40 years of experience and a member of the Photography Arts Collective, the Provincetown Art Association, and the American Society of Media Photographers Inc. He is the photographer and author of Cape Cod and the National Seashore, Carnival–Provincetown, Provincetown and the National Seashore, Nantucket, Martha's Vineyard, and Vietnam Journeys. His work has been featured in numerous shows and galleries in New York and throughout New England. He lives in North Truro, Massachusetts.